CNN has learned President Obama is seriously considering an executive order to create a commission on the U.S. deficit. Washington (CNN) -- President Obama is seriously considering an executive order to create a bipartisan commission that could weigh sweeping tax increases and spending cuts to try to slash the soaring federal deficit, CNN has learned. Documents obtained by CNN show that top advisers to the president have been privately weighing various versions of a commission, and opinions differ about how to structure it. Officials say that some inside the administration are pushing for a narrow mandate because it's too complicated to tackle reform of the tax system and possible spending cuts to various popular programs such as Social Security and Medicare all at once. "Each major category of fiscal policy -- Social Security, Medicare, discretionary spending, revenues -- raises a complex and idiosyncratic array of policy problems and prescriptions," according to the documents detailing some of the administration's deliberations. "Achieving consensus on any one of these issues -- much less all of them simultaneously -- may be more than the political system can reasonably accommodate." But officials told CNN that other advisers to the president are pushing for the commission to have a broad mandate to put all of these big issues "on the table" at the same time. "The nation's unsustainable fiscal course is the result of imbalance across the budget as a whole, not any component in isolation," according to the documents, which are marked "Preliminary and Pre-Decisional -- Not For Distribution." "And, in both the 1990 and 1993 budget deals, the final compromises encompassed both revenue enhancements and spending reductions," add the documents. "Such deals, touching on both sides of the budget ledger, perhaps offer the best way of achieving a bipartisan deficit reduction package." 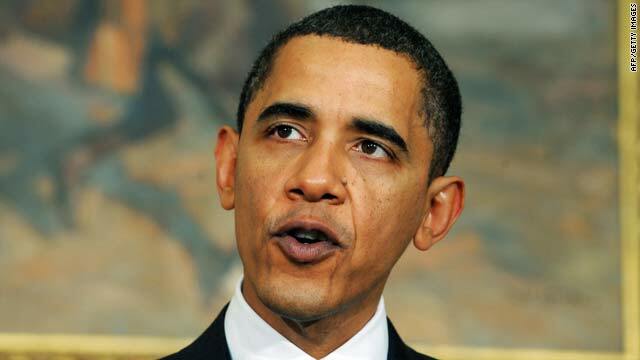 The Obama administration's deliberations are taking on some urgency behind closed doors because the president is facing heavy pressure from Senators Kent Conrad, a North Dakota Democrat, and Judd Gregg, a New Hampshire Republican, to appoint a commission. Conrad and Gregg, along with a group of moderates led by Senator Evan Bayh, an Indiana Democrat, have been threatening to block a large increase in the nation's debt ceiling unless the president agrees to a commission. We are on a path to bankruptcy as a nation, and it's that simple. While some critics charge a commission would be a cop-out because it would punt Congressional decisions to an outside panel, the senators pushing the plan believe the current system is broken and it will take a new mechanism to enact the wrenching changes that will be needed to get the budget back into balance. "We are on a path to bankruptcy as a nation, and it's that simple," Gregg said last week as he and Conrad officially introduced legislation that now has 33 co-sponsors. The Conrad-Gregg bill would need to pass both chambers of Congress and then be signed into law by Obama. It would create a deficit commission with 10 Democrats (eight members of Congress and two Obama officials) and 8 Republicans (all from the House and Senate). The panel would have several months in 2010 to study the problem and then vote after the midterm elections on a reform package that could include dramatic tax hikes and spending cuts. If 14 of the 18 members approve the package, giving it a bipartisan nod, it would force an automatic up-or-down vote in the House and Senate on whether to implement the recommendations. Some administration officials also like the executive order idea because it could help the White House place more Obama officials on the commission to give the president more control. But the documents obtained by CNN note that also brings political risk: "The promise of greater say over the deliberations and final product of the commission, but the peril of being more deeply implicated in the event of failure."